eSoftTools Software for Digital Forensic, Email Recovery,Converter and Data Migration Software. How to react to the situation when your email gets stuck in the Outlook Outbox folder and refuses to be delivered? There are times when you require sending significant messages to someone and it gets stuck in between. Failure to send a message can hamper the normal work flow and prompt lots of suspension in usual day to day procedure. There could be many details leading to this condition large attachments, trying to open the email when it is already in the list of receive and send process, incorrect settings, not internet connectivity, virus attacks damage conditions, no default email set, absence of proper authentication or usage of outlook by some another software and Application. If the emails messages are stuck because of large attachments, then eradicating it, resizing it and sending the attachments in parts must be the right and safe way. For deleting the accurate or specific messages there all users need to go that emails and delete it by right clicking on it and selecting deletes option. To edit the entire emails, set Microsoft Outlook in offline mode and drag the emails from MS Outlook to Drafts folder and proceed with the vicissitudes. If you get the error, ““Outlook has already begun transmitting this message”, then there are very little chances you can edit the emails messages. You have to wait for the send process to complete and successfully done. 3 Type a new password in the corresponding field and Click Next to finally finish the process. If the account is not correctly above-board with the Server, then you must check the settings and do the obligatory. 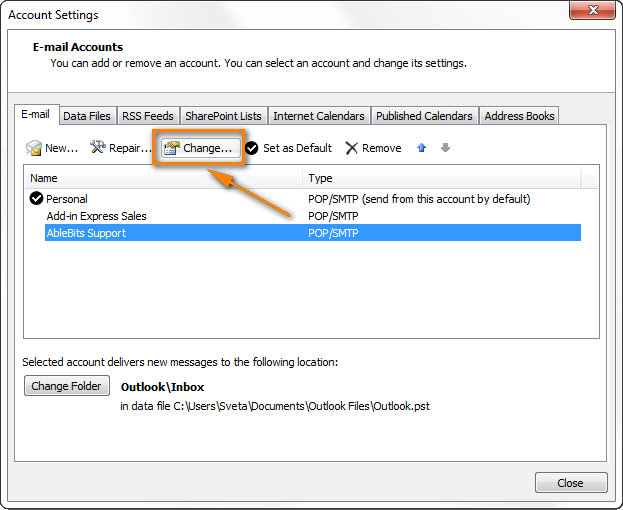 In Outlook 2010, you need to go to the File tab, Click Account Settings and Dual click the Progressive Tab. 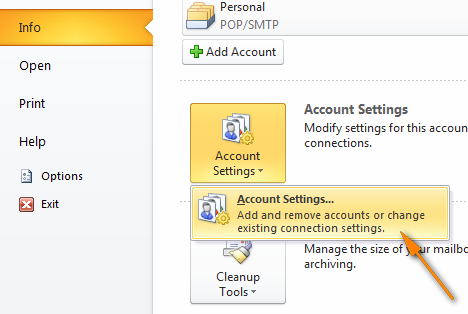 Click on Tools menu ->Accounts settings and go to Email. Switch to the Outgoing Server Tab and check if the Outgoing Server Port number is precise (it should be 25 for SMTP accounts). We eSoftTools provides lots of products such as- emails conversion, password recovery, address book recovery, file repairing and so on. We believe in solving all users quarry related to digital marketing. How to recover the password of 7zip file? eSoftTools is a leading software development company which offers various kinds of digital forensic solutions, data recovery and email migration provider.